Summer in Salt Lake is full of festivals, fun in the mountains, and lovely, dry, hot days that we just can’t get enough of. 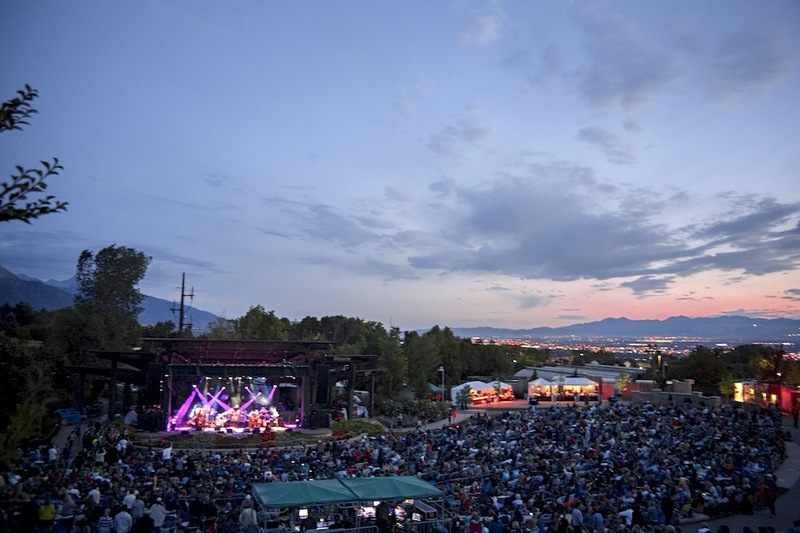 But the backbone of any Salt Lake summer is a pack of tickets to the concerts at Red Butte Garden’s amphitheater. The 3,000-“seat” space is just one portion of the gorgeous gardens that spread out on the eastern foothills above the University of Utah. A concert at Red Butte is truly a special thing. Audiences arrive early (really early) to line up for a spot on the lawn and cart along elaborate picnics to enjoy before the show gets started. Once it does, magic happens. No matter the band, a certain special synergy unites the audience and artist as the sun cruises down over the Great Salt Lake, far below your perfect perch. Oh. And you can bring in whatever food and beverages you like. While any seat in this intimate space under the twilight sky makes for a good night in SLC, there are a few tricks to making the most of your evening. Here’s how to Red Butte right. 1. A low-backed folding chair. Your chair’s back has to measure no higher than 30 inches in order to make sure everyone behind you has a good view. Costco sells a line of Tommy Bahama chairs that are a couple of inches higher than code but seem to pass muster. 2. A cooler with wheels. You’ll be moving around a bit before the show, it’s nice to have a good cooler that you can easily tow. 3. Durable wine glasses and picnicking supplies. Plates and utensils that can take a little jostling are good. We love this little bulletproof number from REI. 4. A wine stake. Red Butte is on a hillside. Don’t risk tipping over that nice bottle of pinot. Get yourself metal wine stake to plant in the lawn and hold your bottles upright. 3. An umbrella. This is for waiting in line, not the show itself. On a sunny day the waiting area heats up good and there’s very little shade. On a rainy day, well, it’s nice to have an umbrella. 4. A tarp. The grass area can be wet and muddy, depending on weather. A nice lightweight tarp underneath your blanket and chairs keeps things tidy. And, if rain does fall, it works as a makeshift shelter. 5. A blanket you don’t care about. Blankets (and tarps) serve a two-fold purpose at Red Butte. First and foremost, they mark out your space. Once the gates open, people rush in to create a veritable patchwork quilt on the lawn area. Once a blanket is down, it’s your space. This is some sort of international concert law. Its second use is the usual picnic deal—sprawl out and keep the grass stains at bay. 6. Rain jacket, waterproof pants, hat, and umbrella. 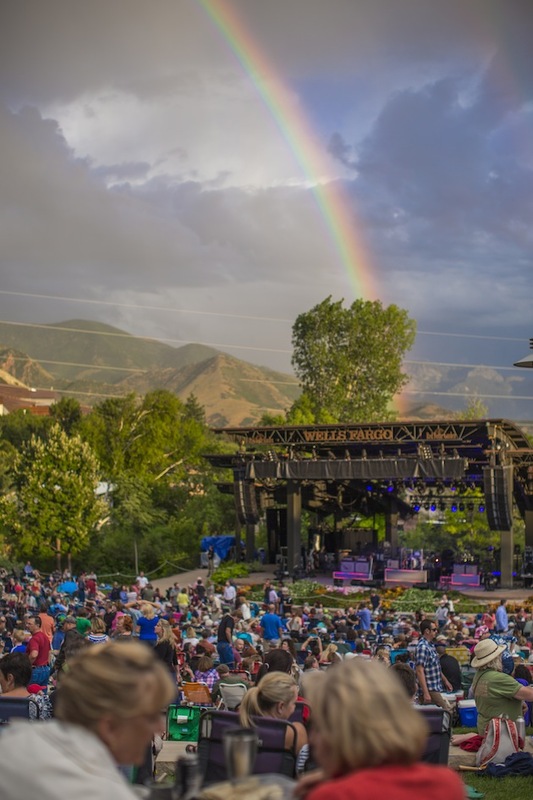 Shows at Red Butte are rain or shine. If it looks like rain, bring your best waterproof duds and it will make the experience much more pleasant. No matter the show, Red Butte’s gates open at 6 p.m. but veterans get there early. The die-hards arrive often before noon and set up camp, but things really start to pick up two to three hours before the show and the line starts to snake back up into Red Butte Canyon. It sounds a little crazy, but waiting on line at Red Butte is fun. Folks set up their low-back chairs and umbrellas and sip on beers in a friendly, convivial setting. Bring a deck of cards, a good book, and settle in. Oh yeah. Watch out for rattlesnakes. Yes. That’s a thing. Parking is tricky. If you’re an early bird, you’ll probably be able to find a stall up close, but if you’re arriving close to 6 or at show time, you’ll have to park down low and hike up to the venue. Spare yourself the gear schlepp and drive right up to the gate. There’s a drop-off spot where you can dump your coolers and chairs and then make the hike back up unencumbered. You also might luck out and find a parking spot. Avoid the parking hassles all together and bike up to the gates where you’ll find a free bike valet to stash your ride. TRAX also drops off at Fort Douglas. It’s a bit of a hike, but really not much farther than the outer parking lots. Plus, at the end of the night you skip out on the snarl of cars leaving the show. Some of us have jobs or busy schedules and can’t just hang out in line at Red Butte all day. But you might know somebody who can. The best way to take advantage of all the tips above is to send a friend or two ahead to grab a spot in line or stake out lawn space. 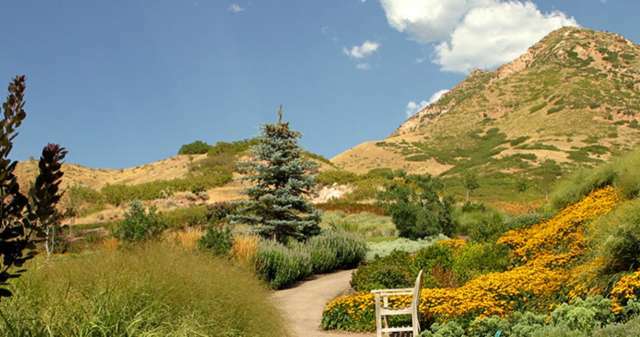 A Red Butte Garden membership offers you a lot of perks, free admission to the gardens, discounts for classes and special garden events, and other nifty things. 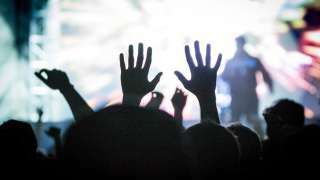 But the big deal is that garden members get first crack at concert ticket sales. For just $45 (2015 rates) and up, you can purchase two discounted tickets per concert. Higher-level memberships allow for even more tickets. Plus, the Garden is a non-profit that relies on donations to keep its programs going, so win-win.